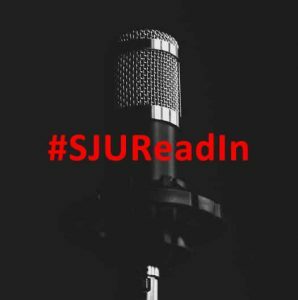 Bring your favorite passage written by an African American author to read aloud or browse the library’s Black History Month display, based on the Charleston Syllabus, on the first floor of the Post Learning Commons. If you can’t join us on campus, share a video of your reading on social media and tag it #SJUReadIn. Ever think about why the heck we use the words that we do? Language evolution and word development can tell fascinating stories about how people have communicated throughout history, and the sometimes shocking arbitrariness of our own vocabulary. The Oxford English Dictionary, a quintessential reference source for linguistics and English and American literature studies alike, tries to trace a word’s nuanced and gradual changes in meaning over time by going back to the word’s earliest textual usage. For example, did you know that the often-heard ‘good-bye‘ actually morphed from a much longer ‘God be with you’? Browse through the OED for some interesting finds that just might pump up your paper or revamp your project. Search for a word, or have the OED choose a random word for you. 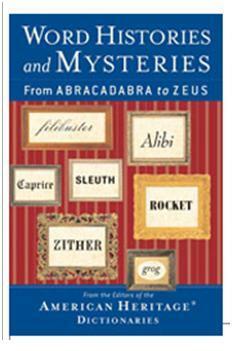 And for a more cleverly written, longer explanation of certain words (including good-bye), try Word Histories and Mysteries: From Abracadabra to Zeus, an online book provided through Credo Reference. There’s something fascinating in every entry!